BoJo on the cover of Elle magazine! Boris Johnson on the Cover of Elle Magazine to promote London Fashion Week, which is from the 18th to the 23rd of September this year. If you look carefully you can read some lyrics from the Clash’s seminal song, London Calling written around the Mayor. How the Clash have been hijacked to promote BoJo or London Fashion Week I don’t know. Joe Strummer must be turning in his grave. The Clash’s songs sing of the turmoil, drugs and racial tension of 1970s London, and as the footage from their song ‘White Riot’ shows their history is intimately connected with W11, Notting Hill, where this year’s carnival has just finished. Carnival still has something of a reputation for violence along with its parties, parades and crowds. This year 222 people were arrested, mainly for drugs and public order offences. Hundreds of Thousands of people also had a lot of fun however, the BBC has a nice photo slideshow. Police managed to keep a low profile at Climate Camp at the site of the Peasant’s Revolt on Blackheath common, bucking a recent trend for police violence, intimidation, extra judicial arrests and punishment at recent climate camp protests such as Kingsnorth Power Station in Kent and G20 events. Under Boris Johnson’s command the Metropolotan Police are indeed becoming a ‘white riot’. 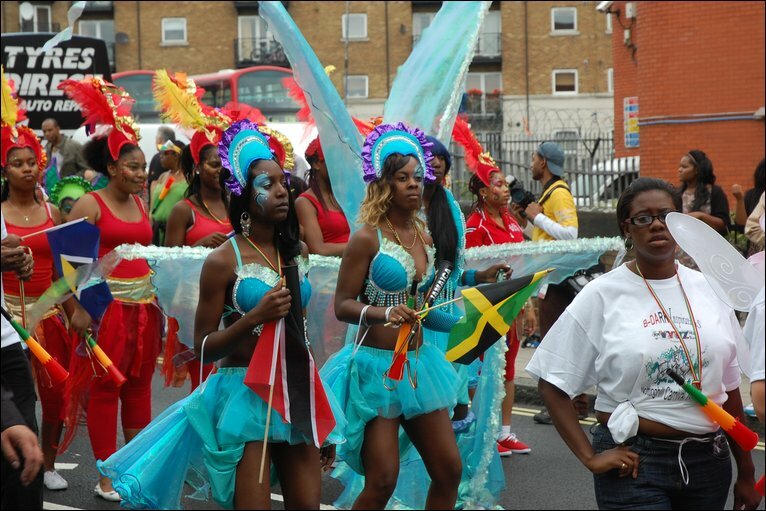 Perhaps the fact that Climate camp and Carnival happened on the same weekend was influential.